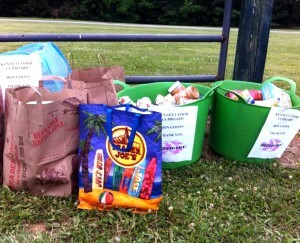 Some of the food donation collected by Bizzigirls for the Kennett Food Cupboard at an event in Pocopson Park. In response, they combined their skills in Operations and Events and Nonprofit Management to form the nonprofit social group – Bizzigirls. Boyle-Mojica and Veale say they simply want to give from the overflow and they encourage friends and family to do the same. They have put their ideas into action by holding social events which benefit and promote awareness of local causes. 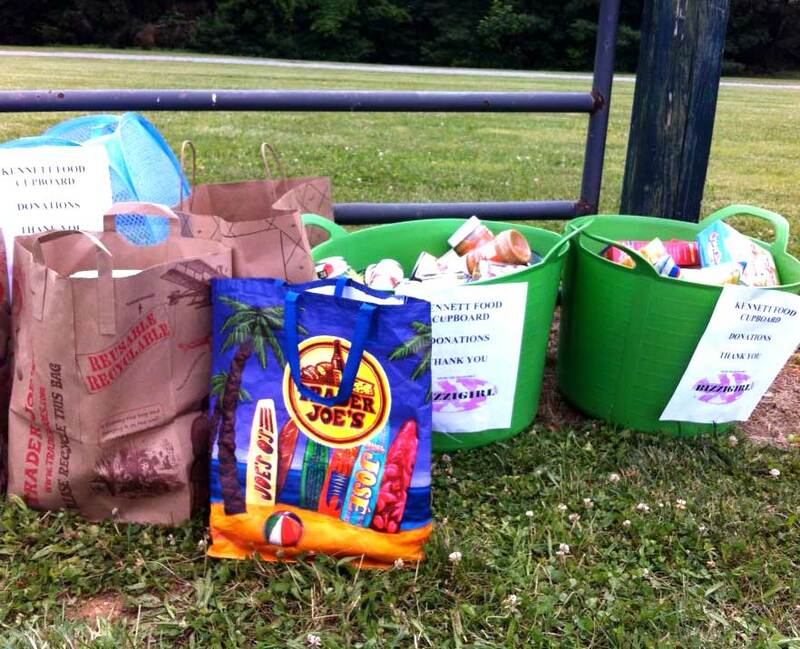 One such event was held recently at Pocopson Park to benefit the Kennett Food Cupboard. The Bizzigirls’ Summer Kick-Off combined family fun and encouraged giving to those who have a greater need. The Bizzigirls demographic was originally comprised of the founders’ children’s preschool groups but quickly expanded to include all persons and groups interested in supporting and sharing in the cause at hand. Today, Boyle-Mojica and Veale say “the face of Bizzigirls is a multifaceted reflection of the local community” reaching over 200 families and attracting greater support with each additional event. Future events include a Bizzigirls & Bizzikids Back to School play date, Bizzigirls Fall Art Gala and Bizzigirls Winter Black Tie Event. Bizzigirls welcomes any suggestions for supporting a cause or organization and can be reached at Katee@bizzigirls.com or Mary@bizzigirls.com. More information can also be found on the Bizzigirls Facebook Page. thank you so much for the wonderful article on Bizzigirls.